The Brewers took what Dallas Keuchel and the Astros gave them on Sunday and turned it into a series win, capitalizing just enough on Keuchel's early walks and Houston's sloppy baserunning for a 3-2 victory at Miller Park. The Brewers held Houston to one hit after the first inning and took the three-game Interleague series to cap a 3-3 opening homestand. The Astros are 2-4 heading into their home opener on Monday against the World Series champion Royals. "It was a sloppy game overall and we need to fix a lot of things, especially mentally, and eventually get better," Astros shortstop Carlos Correa said. "Now we go back home and play the Royals, and we have to step up our game and play better baseball." Jose Altuve hit the game's first pitch for a home run, but the Brewers reclaimed the lead from an uncharacteristically shaky Keuchel in the bottom of the frame and never trailed again. Aaron Hill's two-run single provided an advantage for Brewers starter Jimmy Nelson, who surrendered a pair of solo home runs but struck out nine batters in six-plus innings for his first victory of the season. Keuchel took the loss after allowing three runs on six hits and six walks (one of which was intentional) in 5 2/3 innings. He struck out eight, but has walked 10 batters in his first two starts of 2016. 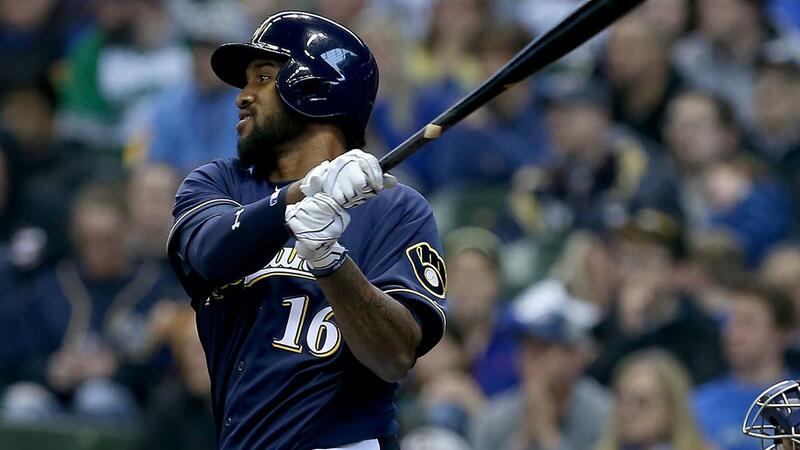 "We know that we can compete with teams as long as we stay together and play together," Brewers closer Jeremy Jeffress said after logging his third save with a perfect ninth inning. "Don't try to do too much; just do your own job. I'm telling you, we've got some guys that are going to take us a long way." "I give our hitters credit," Brewers manager Craig Counsell said. "Keuchel's M.O. is to nibble around the strike zone. He got a little late movement out of the zone and we did a nice job laying off." "I think we've got to make better decisions in certain aspects of the game, but we made a few mental errors today that ended up hurting us," Hinch said. "The one physical mistake they made we didn't capitalize on. It was a close game and small things like that matter." "You work on it every day in Spring Training, you do it so many times and it happens in a game and don't execute it, it's kind of frustrating," Blazek said. "You have to learn to get over it, forget about it and move on." "You can have success all you want in Spring Training or you can get lit up all you want, but that has no correlation to how the regular season feels," Keuchel said. "The heat of competition comes up. The best rise. It was unfortunate that we weren't able to pull it out today." It was not a moment that mattered, because the Astros turned the double play anyway. But considering that Friday's game ended somewhat controversially on the new slide rule, it was notable that the Brewers were charged with the same infraction in the fifth inning on Sunday. Nelson ended the frame by bunting into a double play, catcher to third base to the second baseman covering first, and the umpire signaled immediately for interference on Brewers catcher Martin Maldonado, whose left arm clipped the leg of third baseman Marwin Gonzalez as Maldonado slid into the bag. Astros: The Astros will face the defending World Series champion Royals in their home opener at Minute Maid Park at 7:10 p.m. CT Monday. Right-hander Collin McHugh will try to bounce back after he recorded just one out and gave up six runs (five earned) and three hits in his first start Wednesday in New York. Brewers: The Brewers will aim to spoil the Cardinals' home opener for the second straight year -- if Mother Nature doesn't spoil it first. Rain is in the forecast throughout the day Monday, when Taylor Jungmann is scheduled to face the Cardinals' Michael Wachabeginning at 3:15 p.m. CT. If weather interferes, there is an off-day built into the schedule for Tuesday.